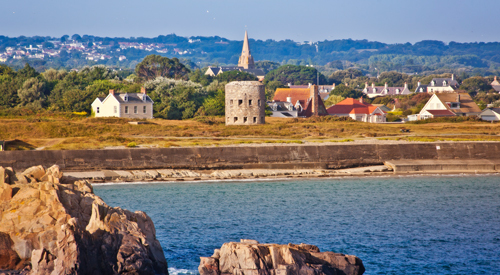 The Bailiwick of Guernsey, which includes Sark, Alderney and Herm, offer quiet beaches where you can build sandcastles, sit in the sun with the sand between your toes, enjoy Guernsey ice creams from one of the many seaside cafes, explore rock pools and take a refreshing dip in the cool coastal waters. 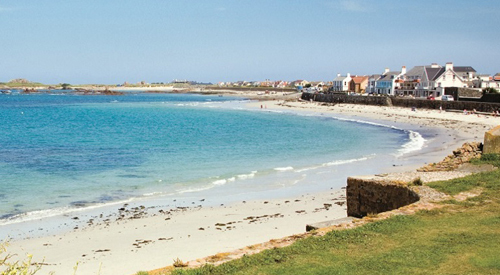 Guernsey beaches are amongst the cleanest in the British Isles and regularly win awards. 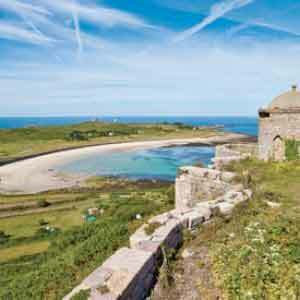 There are 27 beaches in Guernsey, ranging from the sheltered south coast coves to the wide expanses of white sand in the north. 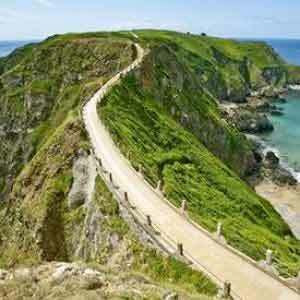 Sark, Herm and Alderney are also great for beach holidays with stunning stretches of beautiful white sandy beaches. 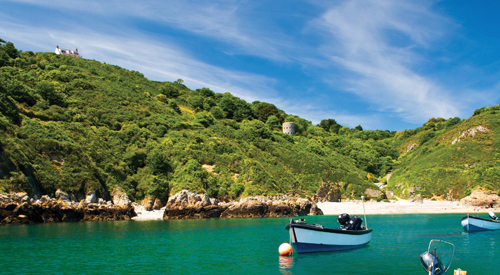 Takes its name from the Celtic word for rock and at low tide, the bay is a rocky vista. Situated at a short distance from the Driftwood Inn Hotel, this beach is perfect for surfing – it is commonly descripted as the island’s premier big-wave spot. 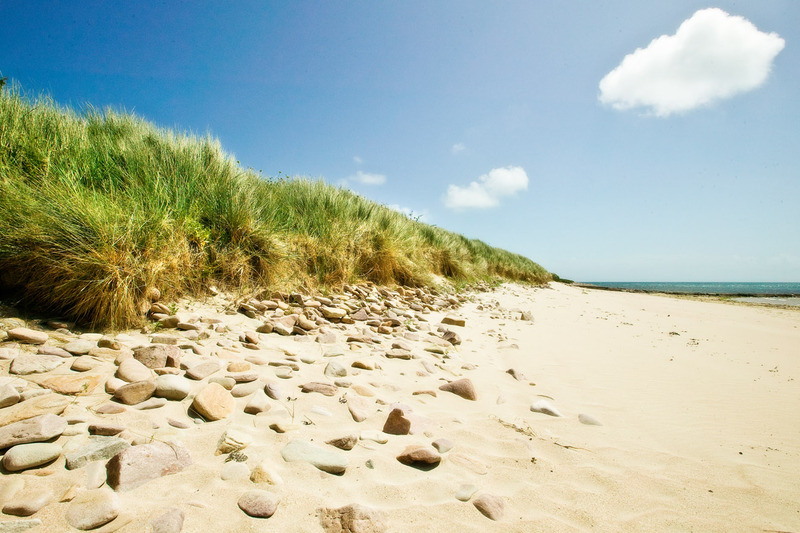 Named after the pink coloured granite which is found here and used for many a building on the west coast, Cobo is a favourite with families offering a safe and sandy beach. Excellent for windsurfing. 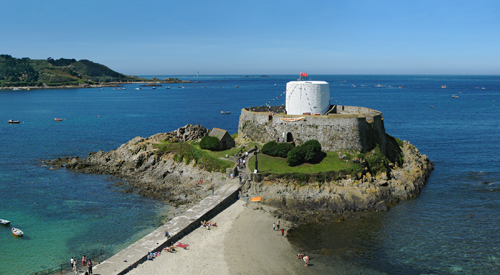 Home to Fort Grey & Shipwreck Museum, this beach is the first of several stretches of sweeping sands along Guernsey's west coast. 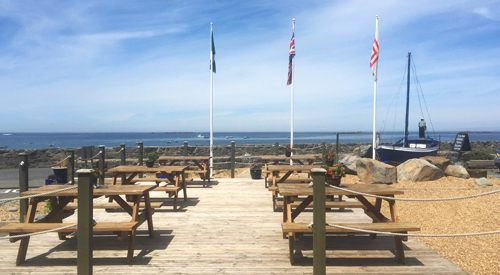 Rocquaine Bay offers a choice of refreshment venues: Imperial Hotel, Guernsey Pearl Café and Portelet Kiosk. 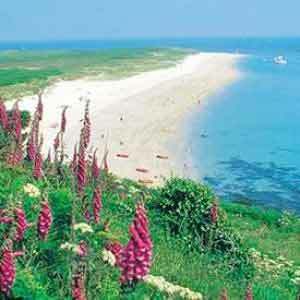 In the north, two beautiful sandy beaches, L'Ancresse and Pembroke, split by a line of rocks running into the sea. 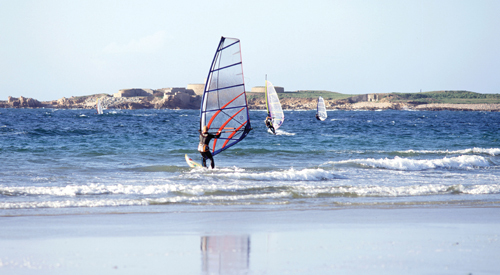 With its white sand beach and clear waters, L'Ancresse and Pembroke are great for swimming. 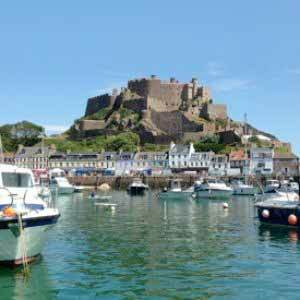 Toilets are available at both ends of the wide sweeping bay, along with the Beach House restaurant at Pembroke and a traditional Kiosk at L'Ancresse. On the east coast lies at the end of a beautiful wooded valley. 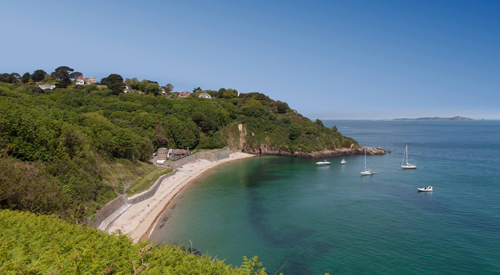 The Moorings, on the northern side of the entrance to the bay, is a perfect spot for swimming and diving in deep water. 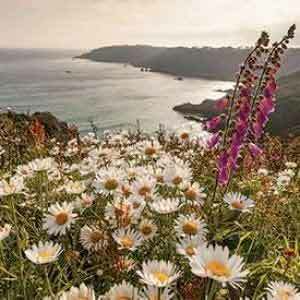 This pebbly bay is tucked into the rugged east coast and is a delightful walk from St Peter Port along a beautiful cliff path. Public toilet facilities are located near the Fermain Beach Café.